Copyright © 2013 Sailing Ireland All rights reserved. 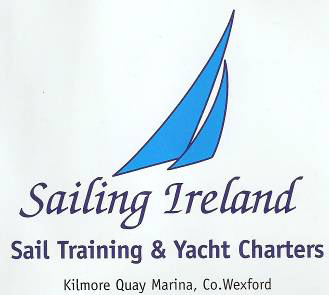 Day Skipper certificate course with Sailing Ireland. Ireland best sailing school for adult sailing lessons. Learn the skills required to skipper your own boat with confidence. and knowledge necessary to skipper a sailing yacht by day in waters with which you are familiar. covered in the Competent Crew course. 5 days during which you will be living on board the training boat. The course must be completed aboard a sailing yacht. Assessment is continuous through the course with regular progress reports. written paper or oral interview in assessing your level of background knowledge. Day Skipper certificates may only be awarded following successful course completion. which is a requirement for chartering a boat abroad. in order to gain the required knowledge to become proficient in the above.